Review: And the Oscar for best picture goes to ….”Lincoln.” The Oscar for best actor goes to…..Daniel Day-Lewis. The Oscar for best supporting actor goes to Tommy Lee Jones. I think you get the picture. This film is epic in its storytelling, visuals, set direction, and costuming. I could go on and on. It’s a beautifully done film, telling the story of one of the greatest Presidents the United States of America has ever had. I realize its a bit early to speculate on Oscar contenders but I’m sure this will be in the running. The film is 2.5 hours long and does run at a slower pace. A pace for some that might be too slow. For me it was just right, I had a busy week and was hoping this film would not rush through the story. Lincoln is one of my favorite Presidents and this movie made me fall in love with his character even more. Spielberg did an enormous amount of research, which was demonstrated though out the film. We know from history books that Lincoln was a warm, patient, energetic, and also very tall – standing at a staggering 6’4”. Abe Lincoln was also a bit of a jokester and a long-winded storyteller. He loved telling stories and had a plethora of them to share. It seem to drive his administration mad. Daniel Day-Lewis transformation of the 16th President, (Abraham Lincoln) was uncanny. During the course of the film I thought I was actually watching President Lincoln in the flesh. I was amazed at how Lewis moved his body during the film to emulate the iconic President. Technically a biopic film, the movie focuses on the last 4 months of Lincoln’s life. Where he aggressively tries to procure the votes needed to pass the thirteen amendment. President Lincoln understood the urgency in freeing the slaves. He also understood that the freeing of the slaves could not be left up to individual states to decide. Lincoln knew without passing the 13th amendment, slaves would never actually be free. The constitution was the only way to protect the freedom of all men born and unborn. It will always be perplexing to me on how a single race conjured up a sick viewpoint on being superior. I will NEVER understand it. They had NO proof, NO facts, NO finding of any kind to confirm or suggest that they were superior. None! Not one! Yet, they vehemently denied other human beings the right to be free based off the color of their skin. Tommy Lee Jones who played Thaddeus Stevens was the break out star in this film. His sarcastic humor and easily annoyed personality was the perfect balance to the inward thinking Lincoln. Jones dialogue with the other characters was so hilarious at times, that the audience was laughing out loud during the film. Sally Field, who played Mary (Molly) Lincoln was feisty and strong. A stark contrast to her small stature. She was a force to be reckoned with and could easily go toe-to-toe with her giant of a husband. I did leave the Theater thinking “what happened to the republican party”? It was the Republicans who fought tirelessly for the Thirteenth amendment to pass. The Democrats opposed it. I can’t believe the political party that was on the forefront of injustice is the same republican party today. Boy have the tables turned. 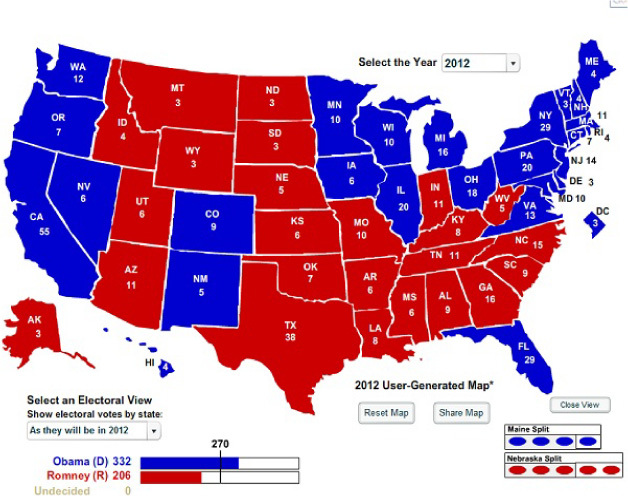 As demonstrated this past Tuesday, 11/6 with the re-election of President Obama. 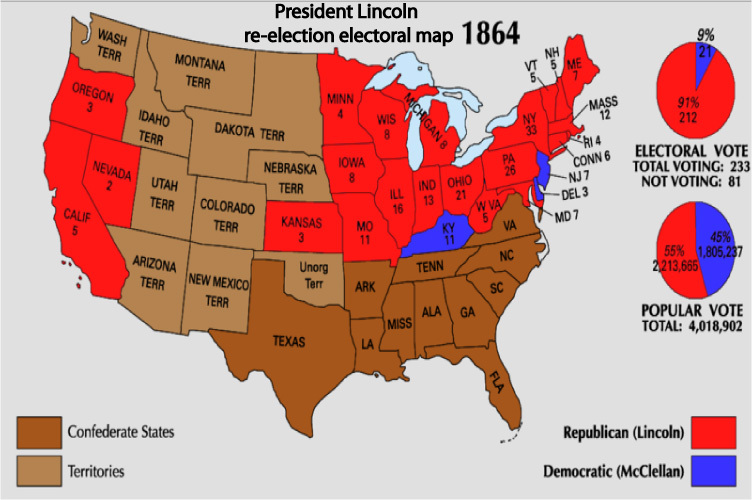 If you were to look at an electoral map from 1864 for President Lincoln re-election and compare it to the electoral map of 2012 for President Obama re-election there are some strong similarities. Just who is the republican and democrat party and how have they changed? Another topic for another post. This film is a beautiful history lesson told through eyes of one of the greatest Directors, Steven Spielberg. The story of a President who changed the course of history by sacrificing his own life. I do believe President Lincoln was aware of the great cost he would pay for fighting for the freedom of others. However, I think he recognized….”what good would it do, for a man to selfishly spare his own life when he had the power to save millions of lives.” His sacrifice was not lost on this great nation. I’m so thankful that Abraham Lincoln was born and became the 16th President of the United State of America. His life was destined to change the world and change the world he most certainly did!